This is the kind of quality chocolate where, upon just simply opening the box, your hit with a waft of incredible raw cacao smells. This chocolate is cold processed meaning it retains all the gorgeous flavours and flavanols (the good antioxidants in dark chocolate), making this one of the highest quality raw chocolate products you’ll find. Vegan, rejoice! 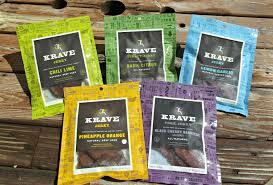 Jerky may be a completely American thing, but I’m a massive jerky advocate since trying some in America. Made with only lean cuts of beef means it’s super high in protein as well as being low in fat. The packs also come with generous helpings of trail mix so that you can get a complete snack in one pack. I’ve been eating this stuff a lot before going to the gym as it doesn’t cause an IBS flare-up – something which normally makes me have to stay away from exercise – as it fills me up without bloating. 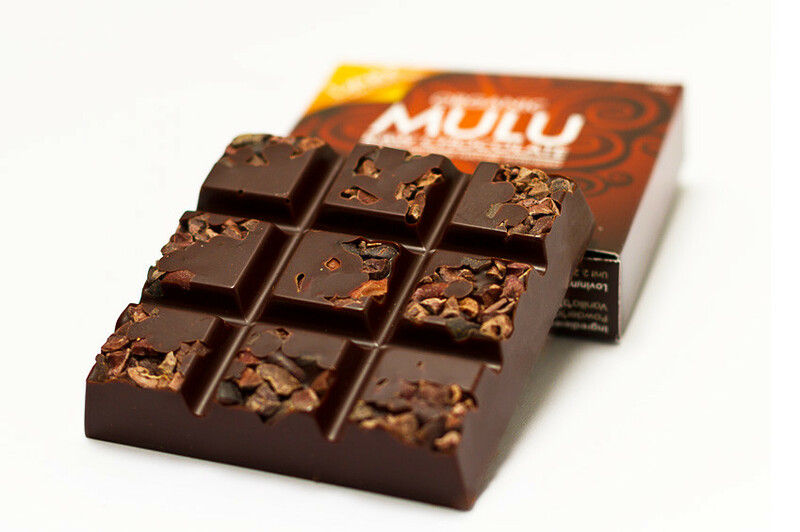 Made with organic, raw cacao powder, butter & nibs from Ecuador, Mulu Chocolate is super indulgent with no sugar whatsoever – just pure delicious cacao goodness. You might liken this to Green & Blacks but the biggest difference is that they don’t heat their cacao to over 45celcius during processing, so all the healthy antioxidants are retained in one simple bar. This is a real novelty – such a gorgeous take on a sweet snack bar. These are called ‘Exo’ because they use cricket flour, meaning it’s high in protein without using any gluten, grain, soy or refined sugars (don’t worry it doesn’t taste like crickets…). With quite a taffy texture each bite is super gooey and delicious and tastes just as sweet as taffy without the bad ingredients! My favourite is the Apple & Cinnamon – but their PB&J is an incredibly close second.